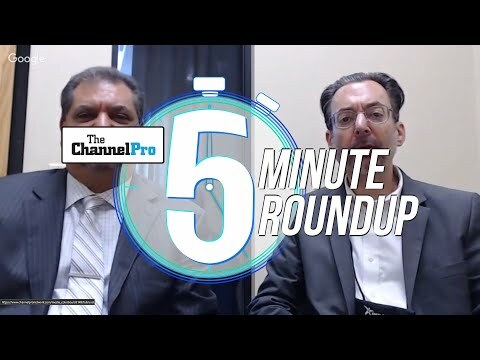 WE COVER a lot of interesting vendors with great products and partner programs here at ChannelPro-SMB. 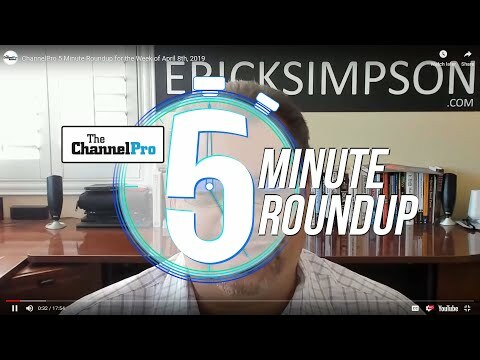 Only a chosen few of them, however, make their way onto our annual list of ChannelPro All-Stars, the companies we believe had the most significant impact on the SMB channel in the prior 12 months. Please join us in saluting the 19 standouts that made the grade for 2016. The 2016 ChannelPro All-Stars were selected by ChannelPro-SMB’s editors based on their assessment of the year’s biggest vendor-related storylines, as well as input from a variety of outside experts and channel partners. The All-Star list varies in size annually, and has neither a minimum nor maximum length. 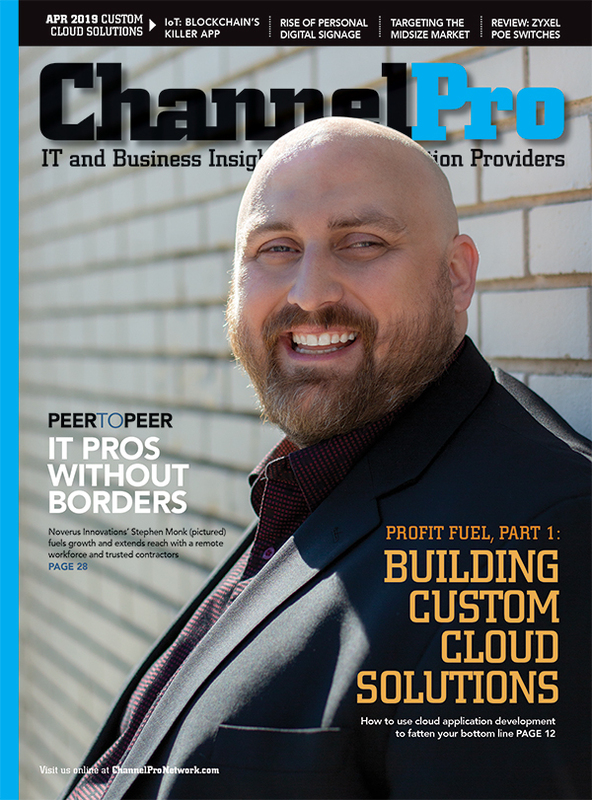 See the 2016 ChannelPro SMB All-Stars honorees below! Click a company logo below, or use the Previous/Next buttons to scroll through the honorees. It’s been quite a year for this Amsterdam-based security and managed services software maker. First it ousted the head of its struggling SMB division and replaced him with Cisco Systems Inc. veteran Fred Gerritse. Then it agreed to be purchased for $1.3 billion by security vendor Avast Software, which promptly showed Gerritse to the door and installed former chief strategy officer Glenn Taylor in his place. Yet despite all that churn and change, we remain fans of AVG’s aggressive SMB turnaround plan, which emphasizes partner education and simplified licensing through a carefully defined list of broad-line and specialized distributors. Designed and launched by Gerritse, that plan will remain largely intact, according to his successor. We’ll be watching eagerly in 2017 to see if that forecast plays out in reality. Sure, the hard-working crew at this Campbell, Calif.-based security vendor has introduced a slew of new products like Barracuda Essentials for Office 365, updated existing systems including Barracuda Web Application Firewall, and added a new S-Series line to its NextGen Firewall portfolio in the last year. What sealed the All-Star deal for Barracuda, though, was the introduction through its Chelmsford, Mass.-based Intronis MSP Solutions division of new Barracuda Backup and NextGen Firewall F-Series editions designed and priced specifically for managed service providers. Mum’s the word from Intronis, but we expect to see more such products, which enable MSPs to buy Barracuda products via the same monthly fees they charge clients, in the future. There’s no shortage of vendors that help MSPs with sales and marketing, customer onboarding, and IT management. You’d be hard pressed, though, to find anyone other than this Kirkland, Wash.-based vendor doing all three via a single integrated and heavily automated solution. That system, which is called MSPComplete and reflects a radical belief that most channel pros will never perform some tasks well on their own no matter how much they practice, serves as the foundation for BitTitan’s ambitious bid to become the outsourcer of choice among MSPs for three critical business functions. Though its roots are in security-as-a-service offerings for Fortune 100 companies, Piscataway, N.J.-based BlackStratus has set its sights on the SMB market with CYBERShark, its white-label security information and event management (SIEM) technology for MSPs. Introduced in April, the innovative system draws on big data technology to spot threats other systems might miss by correlating seemingly unconnected incidents, like data being extracted to unfamiliar IP ranges around the same time a firewall attack and failed network authorization occur. Lots of people are talking about convergence between the IT and telecommunications channels. CloudPlus is actually doing something about it. In June, the Clearwater, Fla.-based cloud services provider unveiled an alliance agreement with distributor Telarus Inc., of Sandy, Utah, aimed at helping IT-oriented channel pros with no telco background add broadband and voice offerings while also helping telco partners with no IT experience add hosted email and other software-as-a-service solutions. Backed with white-label support as well as an extensive array of sales and marketing resources, the new venture makes getting in on rising end-user demand for one-stop technology shopping both easier and less risky. We’ll stop putting this Norwalk, Conn.-based BDR vendor on our All-Star list when it stops making big, bold, game-changing moves. This year’s most notable such step was the launch of Datto Drive, a new file sync and share solution priced at just $10 a terabyte per month for an entire domain’s worth of data. That’s potentially thousands of dollars a month cheaper than the per-user fees other vendors charge. And just in case redefining an entire product category’s economics isn’t disruptive enough, Datto is giving a million terabytes of capacity away free for the first year. Many channel pros don’t know it yet, but this San Francisco-based file sync and share leader has gone all-in on the channel. Last year, it named Thomas Hansen, most recently Microsoft’s worldwide vice president of SMB, its global vice president of revenue, and former Google partner program exec Hank Humphreys its head of global channel sales. Together, the two leaders have upped partner margins on sales of Dropbox Business, stripped bonuses from internal sales reps who take partner opportunities direct, forged deeper ties with distributors including Ingram Micro and SYNNEX, and embarked on an energetic recruiting campaign that attracted 1,200 new partners in the first half of this year alone. Touché, Datto. You want to disrupt our market? We’ll disrupt yours. Hot on the heels of Datto’s previously mentioned entry into the file sync and share market, Atlanta-based eFolder purchased BDR vendor Replibit LLC, of Orlando, Fla., and rolled out a set of BDR appliances that provide three years of protection to an unlimited number of servers and workstations at monthly subscription-based prices ranging from $99 to $1,299 (in addition to a one-time payment for the appliance hardware). The resulting savings might just be reason enough for channel pros to give this relative newcomer to the BDR fray a serious look. Microsoft partners have been seeking a substitute for that company’s Small Business Server solution ever since its untimely demise. Palo Alto, Calif.-based HPE’s ProLiant Easy Connect Managed Hybrid offering is one of the best we’ve seen yet. Introduced in April, the impressively compact appliance bundles HPE compute, storage, and networking hardware with virtualization and cloud management applications from U.K.-based software maker Zynstra Ltd. to provide a complete private cloud infrastructure equipped with built-in links to a range of external public clouds. The system’s channel-only sales model and cash flow–friendly subscription pricing only add to its appeal. Designers at HPE’s kissing cousin and Palo Alto, Calif., neighbor have responded to slowing demand in the company’s core PC and printer markets with a striking burst of creative inspiration. First came the Elite x3, a Windows-powered smartphone/tablet/PC combination that’s practically in a class by itself presently. Then came the svelte, black-and-gold Spectre laptop; the HP Jet Fusion 3D printing solution, billed as the world’s first production-ready commercial 3-D printing system; and the wickedly eye-catching new OMEN laptop and desktop gaming rigs. How long can HP maintain this streak? We look forward to finding out. The much ballyhooed Oculus Rift may have shipped a few months sooner, but when it comes to virtual reality headsets we’re bigger fans here at ChannelPro-SMB of the Vive from HTC, the Taiwanese hardware maker with North American headquarters in Bellevue, Wash. Introduced in March, the Vive is a sleekly crafted early competitor in what’s sure to be one of the technology world’s hottest markets in coming years. It’s also made and supported by a far more channel-friendly manufacturer than Oculus, and has been available in a business edition since June. Two things landed Lenovo, whose U.S. headquarters are in Morrisville, N.C., on this year’s All-Star list. First is the successful completion of its “One Lenovo” initiative, which combined its existing PC business and the System x server line it bought from IBM in 2014 into a single operation with a common partner program, sales team, and back-end infrastructure. Second are the alliance agreements the company has inked recently with specialized market leaders like Nutanix Inc. in hyperconverged infrastructure and Cloudian Inc. in software-defined storage. Those and other deals signal a strategic decision by Lenovo to compete in fast-growing markets through partnerships rather than by adding new product groups that could dilute its core focus on PCs, servers, and mobile devices. Seeking to rejuvenate its product lineup and brand, Linksys, of Playa Vista, Calif., has introduced its first MU-MIMO enabled Wireless AC access point purpose-built for small businesses. More significantly, though, the company has added free clustering to the entire Linksys portfolio of business-class wireless access points, a move that sets a new standard for Wi-Fi efficiency by enabling channel pros to view, configure, and secure up to 16 access points through a single interface without a WLAN controller. Most email encryption solutions store both message content and encryption keys in expensive data centers that make tempting targets for hackers and government snoops. The new edition of Greenville, S.C.-based Mailprotector’s ForcEncrypt system houses keys in the cloud but leaves encrypted data on local email servers, forcing anyone bent on unauthorized access to steal and merge information from two entirely separate targets. Stronger protection for sensitive data is one benefit. Significantly lower prices stemming from the Mailprotector product’s dramatically lighter data center storage requirements is another. This chipmaker’s Pascal architecture is proof positive that good things really are worth waiting for. It took NVIDIA, of Santa Clara, Calif., a little over two years to bring the 16 nm GPU platform it announced in March 2014 to life, but the first Pascal-based products to reach market—including the GeForce GTX 1080, 1070, and 1060, the last of which is powerful enough for virtual reality applications yet is priced below $300—are setting new marks for performance and energy efficiency. We’ve long been fans of how this Atlanta-based vendor helps MSPs turn a seemingly humdrum service like network assessment into a powerful sales tool and ongoing revenue source, but it was Detector, the new software appliance introduced in May, that won RapidFire Tools a spot on this year’s All-Star list. While most security tools focus on external threats, Detector guards against internal ones ranging from maliciously altered firewall settings to inadvertently flawed network configurations. The system’s low prices and built-in machine learning technology, which helps it identify risks with increasing intelligence over time, round out a compelling new product offering. Last fall, this U.K.-based security vendor introduced its Heartbeat technology, which enables its large and growing family of products to safeguard end users more effectively by collaboratively exchanging information. More recently, it released a centralized, cross-solution management portal and a new “always-on” email encryption solution that protects all of a customer’s messages by default. But what really put Sophos over the top for us was its creation in May of a new MSP partner program that lets qualified resellers buy Sophos software via recurring monthly fees rather than capital-draining up-front payments for the first time. In case you haven’t noticed, this Draper, Utah-based BDR vendor has been keeping very busy lately. In January, it accepted a $187 million private equity investment and made Dell SonicWALL veteran Matt Medeiros its new chairman and CEO. Since then, the company has updated multiple existing products and launched several new ones, including its first cloud-to-cloud backup solution and an innovative new version of its VirtualBoot for vSphere technology that accelerates data recoveries by virtualizing backup images as guest virtual machines directly on VMware ESXi hosts. This Bellevue, Wash., company’s All-Star achievement happened a little too late to get it on last year’s list, but remains worthy of overdue recognition just the same. Following a protracted, unexpectedly bumpy development process, Valve shipped its Steam Controller and Steam Link products last November. Designed to link dedicated “Steam Machine” gaming devices running the Linux-based SteamOS operating system with the vast Steam game marketplace, both devices work just as well with Windows PCs, providing system builders an opening to steal share from consoles like Microsoft’s Xbox 360 and the Sony PlayStation by selling devices that are great for gaming but do a whole lot more as well.